With Colorado snow levels up 20% from last year and snowfall down in most other Western ski areas, TPG contributor Jason Steele says that now is an ideal time to book a winter escape to the adjacent ski resort towns of Vail and Beaver Creek. Here’s what you can see and do while you’re there. During the Second World War, the US Army taught American soldiers how to ski in order to prepare for winter battles in Scandinavia and Northern Europe. After the war, veterans of the 10th Mountain Division returned to Colorado to build ski resorts near where they had trained. Vail Mountain opened up for its first season in 1962, and has been one of the largest and most popular ski resorts in the United States ever since, remaining a popular year-round destination for its scenic beauty, breadth of outdoor activities and quaint alpine village. 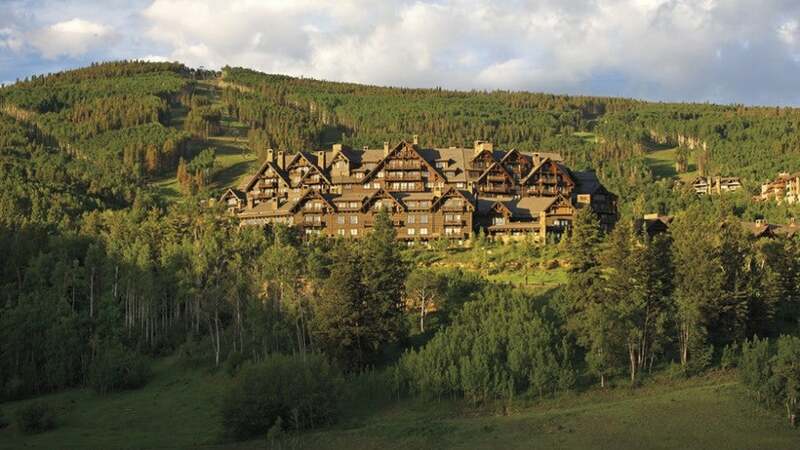 Thirteen miles west of Vail, the ski area of Beaver Creek has been open since 1980, featuring world-class ski trails and the feel of a residential community. 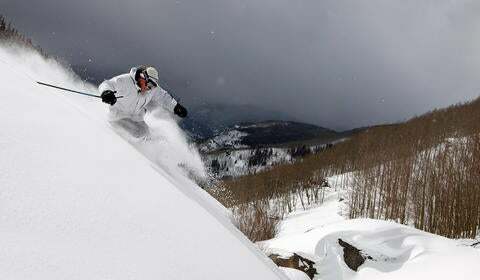 The top attractions at both Vail and Beaver Creek are skiing and snowboarding. Vail offers 5,289 acres of skiing across 3,450 vertical feet using a total of 31 ski lifts, making it one of the largest ski areas in the United States. Its state-of-the-art gondolas even feature heated seats and WiFi. Nearby Beaver Creek is certainly smaller, but at 1,832 acres and 3,340 vertical feet and 25 lifts, it still offers plenty of trails and powder. Both areas also offer opportunities for snow-shoeing and cross-country skiing, as well as dog sledding, snowmobiling and snow tubing. 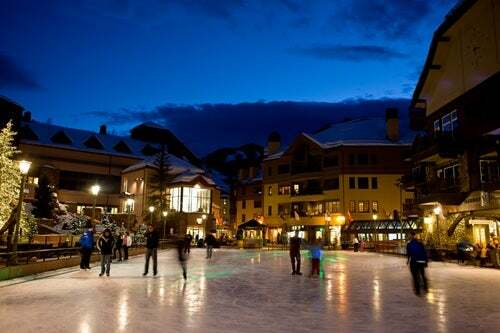 At the base of the Vail ski area is a large, pedestrian-friendly village that is constantly being rebuilt with ever more grand hotels and resorts, luxury shopping and fine restaurants. Although you won’t find the nightlife and celebrity clientele you might see 100 miles away in Aspen, the bar scene definitely kicks up not long after the lifts shut down. Beaver Creek is much smaller, with more of a residential feel. An ice-skating rink lies in the center, with hotels and condominiums scattered more widely along the ski runs, many with ski-in and/or ski-out access. Strawberry Park is a gentle run for new to intermediate skiers, while the bumps of Grouse Mountain provide more of a challenge. When the snow melts, both towns empty out a little bit and become resorts for those hoping to escape the heat of summer as daytime temperatures hover in the mid-70s. Summer activities include fishing, golf, and hiking as well as mountain and road bicycling. In fact, Vail opens its gondola up for hikers, mountain bikers, and those who are just looking for a scenic view. A popular summer and autumn pastime in the Vail/Beaver Creek area is attending sporting and music events such as the Vail Jazz Festival, the GoPro Mountain Games, the USA Pro Cycling Challenge and Vail Oktoberfest. Here you can see a full list of summer events at Vail and Beaver Creek. Vail and Beaver Creek are both high-end destination resorts, so it’s not surprising that they both enjoy a generally sophisticated and expensive dining scene. In the winter, reservations are recommended for most fine dining establishments, especially for mountainside options. Many area eateries offer specialties that provide a taste of Colorado. If you’re staying in Beaver Creek, former hunting lodge Beano’s Cabin, only accessible by sleigh in the winter, offers locally-sourced entrees like Colorado Striped Bass, Rocky Mountain Elk and Colorado Lamb. Nearby, the casual Gashouse offers traditional Colorado grub like bison ribs, venison rack, and grilled quail. Inside the Park Hyatt Beaver Creek, the 8100 Mountainside Bar and Grill (which derives its name from its altitude) offers a mix of Colorado favorites like lamb osso buco and ruby trout, along with non-local seafood specialties like organic salmon and wild-caught snapper. In Vail Village, local favorite Russell’s is a traditional steakhouse. Way atop Vail Mountain, visitors to Game Creek Restaurant have to take the gondola and then hop a snowcat ride before feasting on American and French cuisine with regional ingredients. Game Creek’s fixed-price menu ranges from $89-$109 per person. For more modern international cuisine, the Montauk Seafood Grill in Vail flies in fresh seafood daily, including shrimp, lobster, crab, oysters and mussels. Additionally, Wolfgang Puck’s Spago chain has an outpost within the Ritz-Carlton Beaver Creek that offers everything from Hawaiian tuna to Scottish salmon to Colorado lamb chops. If you’re not looking to spend a few hundred dollars on a family meal, try Blue Moose Pizza in both Vail and Beaver Creek. Their pies are served Colorado style, which means they go heavy on the toppings. 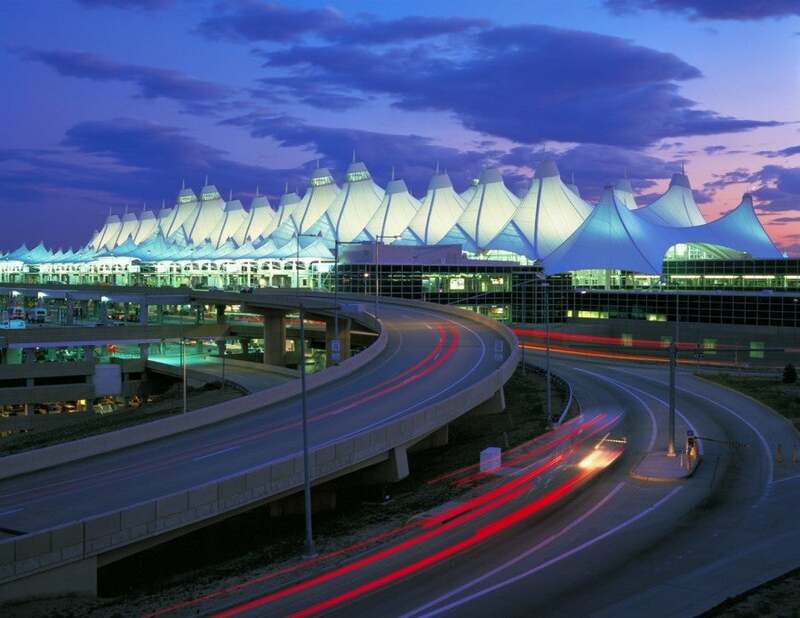 Denver International Airport (DEN) is a hub for United, Southwest and Frontier. DEN is also served domestically by Delta, US Airways and American, Air Tran, Alaska, JetBlue and Spirit, and internationally by Lufthansa, British Airways, Aero Mexico, Volaris and Icelandair. Southwest is a particularly good choice for skiers and snowboarders, as they offer two free checked bags. Flying into Denver, however, will require at least a two-hour trip into the mountains; in the event that you are delayed by either traffic or weather, that drive can be more than twice as long. Heavy traffic is guaranteed westbound on Saturday and Sunday mornings, and eastbound Saturday and Sunday evenings as Denver residents flock to and from the mountains. You can rent a car at DEN, but be keep in mind that mid-sized car is not inherently more snow-worthy or mountain-worthy than a compact one, regardless of what they tell you at the rental counter. Also be aware that but you’re unlikely to need a car once you reach Vail or Beaver Creek, as both areas offer free, public local transportation systems. Furthermore, it can be very expensive to park a car near the ski areas. Thankfully, several companies, including Colorado Mountain Express, offer van service from Denver International to the mountain resorts. Eagle County Airport (EGE) is much closer than DEN, only 35 miles west of Vail and 22 miles west of Beaver Creek. It offers connecting service on United from Denver and Houston year round, and from Dallas-Ft. Worth on American Airlines. While EGE is certainly convenient, you can expect to pay more for your flights, and it may be a challenge to find awards at the lowest mileage levels. 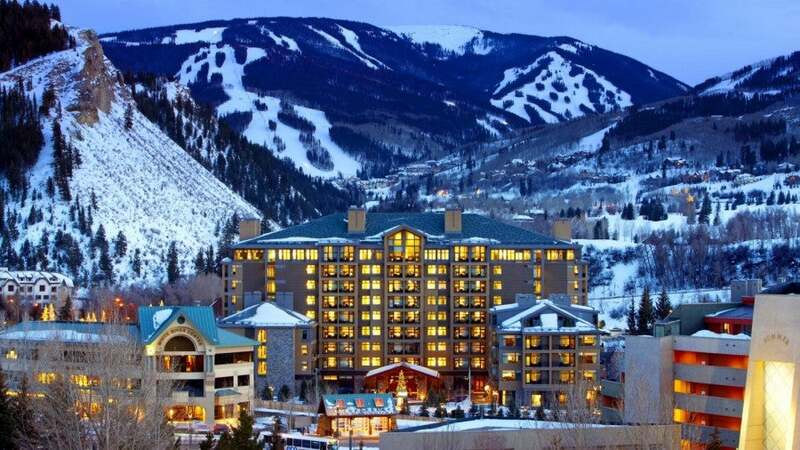 There are hundreds of hotels and private condominiums in the Vail Valley, which includes Vail and Beaver Creek as well as the nearby towns of Avon and Edwards. Prices vary dramatically by season, with the highest prices found in the winter, but dipping a bit after the holidays. 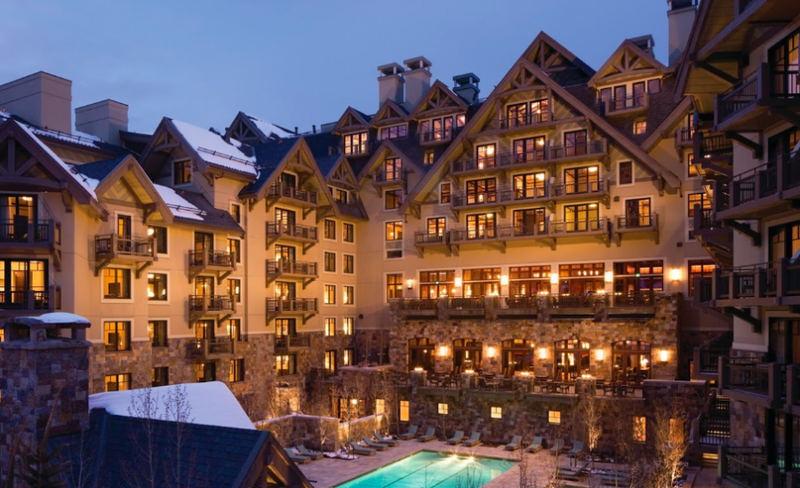 Park Hyatt Beaver Creek Resort and Spa: Right at the base of Beaver Creek, this 190-guestroom resort has the distinction of being the only property in the Americas that fell into Hyatt’s new Category 7 during its recent devaluation. The resort features a spa with 23 treatment rooms and a water ritual area, and five hot tubs lie at the base of a mountain waterfall beside an outdoor, heated pool. All guestrooms include Hyatt Grand Beds and Le Labo toiletries, and the 16 Park Fireside Suites have gas fireplaces. Rates in February start at about $600 or 30,000 Hyatt Gold Passport points. Hyatt Main Street Station – A Hyatt Residence Club Avon/Beaver Creek and The Residences at Park Hyatt Beaver Creek: These Hyatt Residence properties are outside the regular point categories, and unlike regular Hyatt hotels, have capacity controls on award bookings. Post-devaluation, a three-bedroom suite at either one of these luxury properties costs the same number of points as a standard room at the Park Hyatt Beaver Creek. Rates in February average at about $1,000 a night or 12,000 (for a studio) to 30,000 (for a three-bedroom suite) Hyatt Gold Passport points. Holiday Inn Vail: This Category 6 property is in East Vail, a little over a mile from Vail Village, but offers a free shuttle to the ski area. The hotel has an outdoor, heated pool, as well as a steam room, hot tub, and three on-site restaurants. 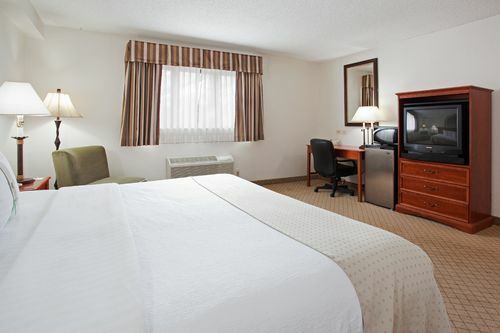 Rooms include Moen massaging showerheads, 32-inch TVs and complimentary WiFi access. Nightly rates in February start at $290 or 35,000 Priority Rewards points. 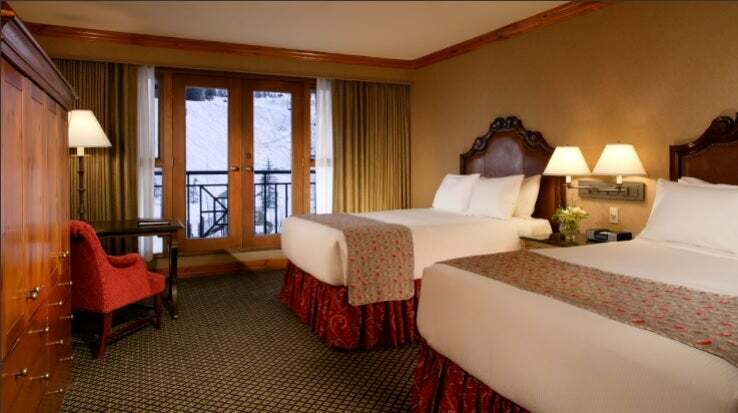 Vail Marriott Mountain Resort: Located in Vail Village, within walking distance of the slopes, this 344-guestroom, Category 8 property offers standard rooms with one king or two queen beds; larger rooms include both a king and a sofabed. The resort offers an on-site restaurant, a pub, a small spa, a state-of-the-art fitness center, a whirlpool and two pools (outdoor and indoor.) Rates in February start at $499 (plus a resort fee of $30 per night) or 35,000 Marriott Rewards points. The Ritz-Carlton, Bachelor Gulch: This Tier 4, 180-guestroom hotel is at a prime location, right next to a chairlift at Beaver Creek. Rooms include Frette linens and 42-inch flatscreen TVs, and some include fireplaces and walk-out balconies, as well. The property offers a choice of one king or two double beds for award bookings. Rates in February start at $900 a night or 50,000 Marriott Rewards points + a resort fee of $50 per night. 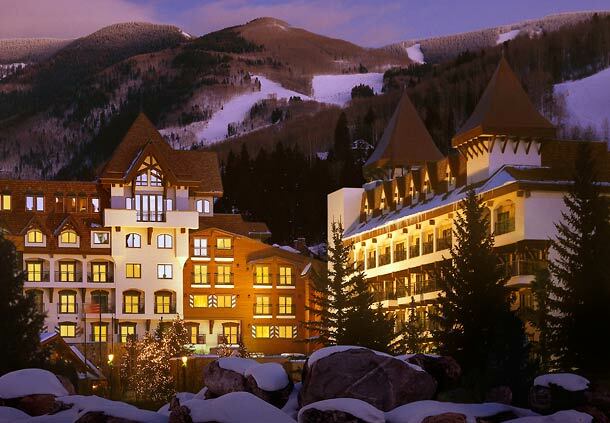 Ritz-Carlton Club, Vail: A Vacation Club resort with two-, three-, and four-bedroom suites, rates in February start at over $1,000 a night and are not available with Marriott Rewards Points. 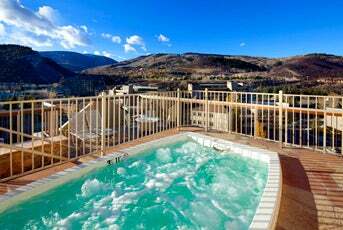 Sheraton Mountain Vista Villas, Avon/Vail Valley: Located in Avon, near Beaver Creek, this Category 4, smoke-free property offers one- and two-bedroom villas with full kitchens, some with a fireplaces and DVD players in the living room and/or a whirlpool tub in the bathroom. There’s a market and deli on-site, a large rooftop whirlpool, a fitness center, and complimentary WiFi in public areas. Rates in February start at $459 or 10,000 Starwood points. The Westin Riverfront Resort & Spa at Beaver Creek Mountain: This Category 5 property is also in Avon, but it actually requires a gondola to get you to the slopes at Beaver Creek. The resort includes a 27,000-square-foot spa, as well as a restaurant, wine bar, cafe and market. All guestrooms include the signature Westin Heavenly bed and 42-inch LCD TVs, and most rooms (aside from the Traditional model) have gas fireplaces. Rates in February start at about $500 a night or 12,000 Starwood points. 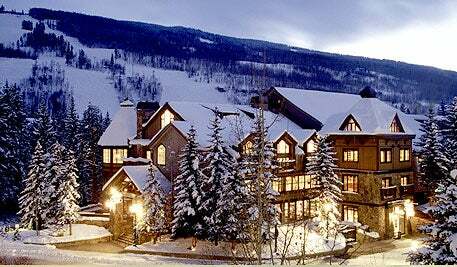 Arrabelle at Vail: Located near the Eagle Bahn Gondola, this property offers a convenient ski in/ski out experience. The 81 guestrooms here range from a Superior Room to a King Suite, the latter of which includes a flatscreen TV, DVD player, Bose MP3 player, and a second television in the bathroom. In addition, the hotel features 25 luxury condominiums which each offer a gourmet kitchen, gas fireplace, jet tub, and access to the resort’s rooftop pool and fitness center. Rates in February start at $699 a night. 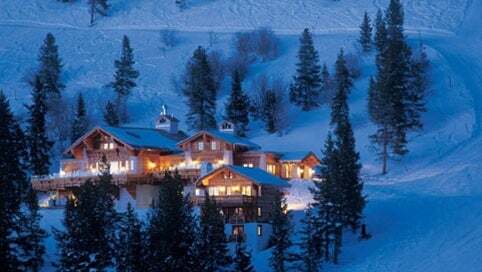 Sonnenalp Hotel: Situated in Vail Village, just a short walk or shuttle ride from the slopes, this property offers 112 guestrooms and 15 luxury suites. In keeping with its European theme, each suite features custom-made Bavarian furniture, a gas fireplace, and bathrooms with double vanities and heated marble floors. The hotel spa is available to all guests and features heated indoor and outdoor pools, a steam room, sauna, cold plunge, and tsunami shower. WiFi access is complimentary. Rates in February start at $530 a night. Four Seasons Resort Vail: In the heart of Vail Village, the Four Seasons features 121 rooms and suites, each with its own fireplace. Other in-room amenities include oversized leather chairs and ottomans, soaking tubs, double vanities, and 42-inch flatscreen televisions. The hotel offers an outdoor pool that is heated year-round, as well as fitness facilities and a complete spa center. Guests can utilize a ski concierge service at the base of the mountain which features lockers that dry their boots and gear overnight, and complimentary fresh-baked muffins and coffee, tea or hot chocolate are available here in the morning. Rates in February start at $995. 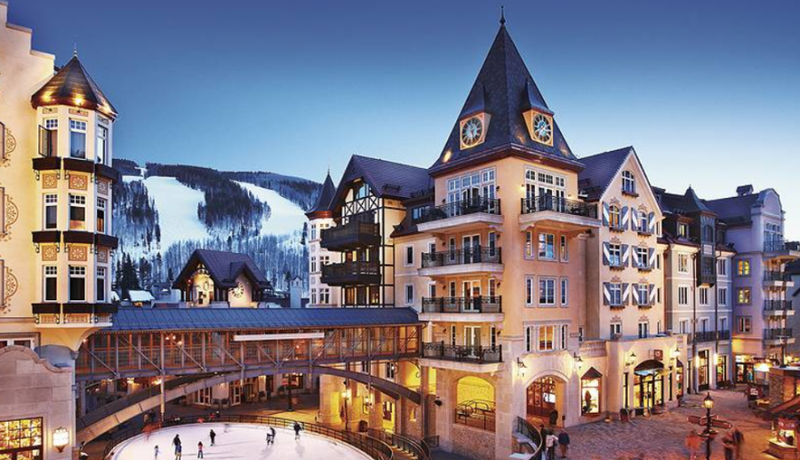 Vail Cascade Resort & Spa: Located beside the Cascade Village Lift for easy ski in/ski out access, this resort features guestrooms, condos and vacation home rentals. The hotel offers a variety of dining options, including their Fireside Bar, the Cascade Village Market and in-room menu services. Property-wide amenities include a ski concierge, and guestrooms include plush cotton robes, 42-inch flatscreen TVs, and dual cordless phones. Condos and vacation home rentals include a full kitchen, washer and dryer, and guest privileges at the Aria Athletic Club & Spa. Rates for guestrooms in February start at $239 a night, and the American Express Fine Hotels and Resorts program offers a complimentary fourth night free when three nights in a row are booked. When cardholders use a Visa Signature credit card to book a room through the Visa Signature Hotels program, they are eligible to receive extra perks such as discounted room rates, room upgrades, free breakfast, early check-in and late check-out, dining and spa credits and more. Visa Signature cards include the Chase Sapphire Preferred, Chase Sapphire, Ink Bold, Ink Plus, British Airways Visa, the Hyatt card, the Marriott Rewards Premier and Marriott Rewards cards, the Southwest Plus card, Bank of America’s Alaska Airlines and Hawaiian Airlines cards, Capital One Venture, Citi Hilton HHonors and Citi Hilton HHonors Reserve, US Bank FlexPerks, Citi AAdvantage Visa Signature, and many more, so chances are you’re carrying at least one of them in your wallet. 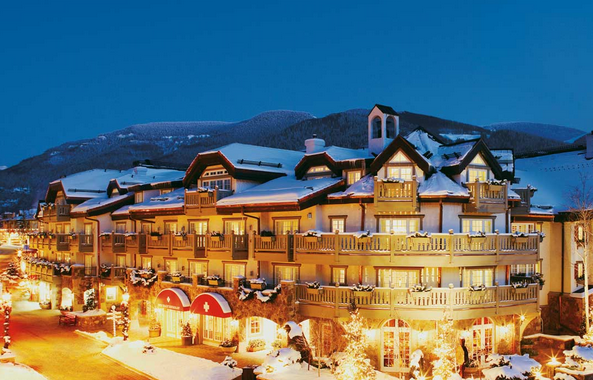 Vail Mountain Lodge & Spa: Located in Vail Village, this luxury property offers 27 guestrooms, as well as condominiums. Its standard Lodge Rooms feature gas fireplaces, feather beds and down comforters, slippers and robes; bathrooms offer deep soak tubs, heated stone tile floors, and complimentary Aveda bath products. On-site amenities include indoor and outdoor hot tubs, sauna, and steam rooms. Guests also have access to the Vail Vitality Center which offers both fitness and spa facilities. Located in the hotel, the Terra Bistro serves breakfast and dinner using locally sourced ingredients when available. Rates in February start at $569. This winter, the snow pack is higher in the Colorado Rockies than many other ski areas out west, with a base depth averaging 40 inches, making February is an ideal month to take advantage of the powder and make a winter escape to Vail/Beaver Creek.